Yesterday I installed the Visual Studio 2015 Update 3 and began playing with a new ASP.NET Core API project. But the NuGet packages needed to be updated and when I tried to update them, they could not be found. Clue: Pay attention to the little black flag in the upper right corner of Visual Studio 2015 ( ) and install the .NET Core 1.0.0. 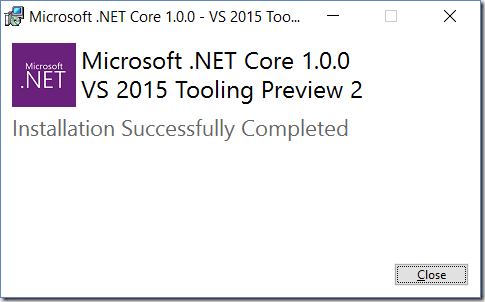 VS 2015 Tooling Preview 2. The install took a fair amount of time, but when it was done, I created a new ASP.NET Core API project and bada-bing, everything seems happy. This super helpful error message and some Googling led to a solution. I really did not believe it when I found it. But some days are like that. (6/29/2016 10:07:24 AM) An error occurred when the request was processed on the remote computer. Unable to perform the operation. Please contact your server administrator to check authorization and delegation settings. And the winning blog post (certainly not MS docs) goes to A Software Guy’s Blog (Eric Kelm). When you add Microsoft Web Deploy to an IIS server, the install adds two local user accounts, both with an expiring password. So 90 days, or whatever your expiration policy is, after you install, web deployment just stops working. The trick is to modify both accounts to check “password never expires”. Thanks, Eric. And thanks, Microsoft. Eric’s post is four years old and this problem still exists. Epic fail. This post is primarily a place holder and reminder to review Rick Strahl’s post on this topic a few more times. The change in default serialization does not yet affect me because I was not relying on RC2 for anything serious. However it is critical to note this default behavior for future reference because many of my APIs serialize “as is” so most of my JSON is PascalCase and changing that midstream would bork every client that relies on case sensitivity in the data. “Personally I prefer to see stuff like this as an easily accessible option, and not something that is rammed down your throat - serialization shouldn't arbitrarily change the naming of properties. While that is often desirable I'm betting there are plenty of scenarios (especially when dealing with .NET to .NET) where you'd much rather have the serialized content reflect the original naming. 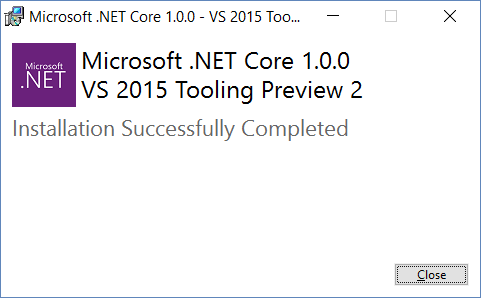 Well, now the real play begins with .NET Core 1.0 RTM. I needed to apply an aspect to my ASP.NET Web API 2 services on every controller. The trick was that I needed an IDisposable object to be created before the action method executed and then disposed when the action method completed. It’s easy enough to write an ActionFilterAttribute to do something at the beginning or at the end of a controller’s action method being called. But how to you maintain state between the OnActionExecuting and the OnActionExecuted events? That’s what this little snippet does. I do realize there are many examples of the ActionFilterAttribute and this technique, but it’s easier to search my own blog later when I need to remember how to do this. Happy Monday! But I am not sure which one I like more. Some experimentation is called for. And more research to do on writing my own middleware. Many thanks to the original source by ArtisanCode on GitHub I’ve enjoyed for solving this problem. You may also enjoy Radenko’s post and Raymund’s post. I hope that you will find what I have learned from these sources helpful. The requirement was running ASP.NET MVC and Web API in the same project with a single inversion of control (IoC) container shared by both, though I never ended up using injection for my MVC controllers as I had planned. Then we wire up the DependencyConfig class mentioned in the above snippet. Then you just need the ArtisanCode code for those two classes. For my own use, I’ve modified them a bit in my own projects but you may find that you can use them right out of the box or even adopt the entire WebApiCastleIntegration library. I realized today that my old pre-2012-04 posts were broken. That’s when I moved from dasBlog to BlogEngine.NET. At the time, I had to fix the same problem that I recently re-introduced when upgrading to a clean install of the lastest BlogEngine.NET. And today I will fix my mistake by blogging about it. To support URLs with a “+” in the Title slug rather than a “-“ we need to modify the web.config as shown above. Don’t forget your configuration when you migrate or upgrade. It is 100% my fault. I wrote a small library for accessing files in Azure Storage. It has an Exists method. But rather than returning false when the path does not exist, it throws a 404 Not Found exception. This is bad code. It should just return false. And not having time to fix it, I wrote the following worse code. Message = "Content not found." I hang my head in shame. Lesson: fix the bad code. Don’t write worse code to work around the bad code. Once the fire was put out, I fixed the original library and now have this code. It's better. Could be improved, but it's not as ugly as before. Second lesson: Don't let stinky code lie around too long. Clean up your messes.